Just over a century later, the painting of the defiant Nudde woman has sold for $157.2m (N56.7bn) at an auction in New York City. The figure paid for the work was $139m but the buyer’s premium brought the total price up to $157.2m. 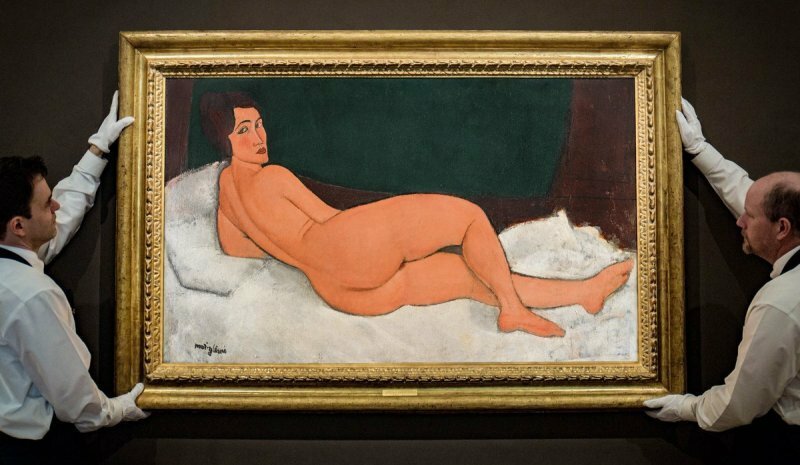 The painting, which is Modigliani’s largest at 147cm wide, was the highlight of the auction of impressionist and modern art at Sotheby’s on Monday evening. It had the highest pre-auction estimate – $150m. The previous owner, based in the US, had bought the Modigliani in 2003 for $26.9m. 0 Response to "N u d e Painting Sells For $139Million A Whopping N56.7Billion At New York Auction (Photos)"